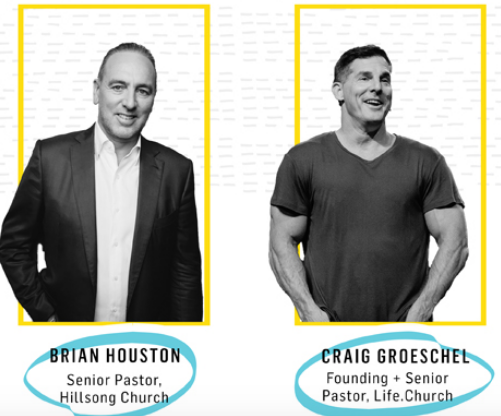 What are the red flags with Brian Houston? What are the red flags with Craig Groeschel? 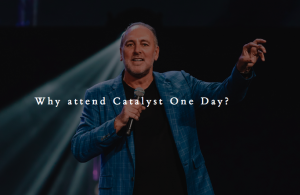 What is the Catalyst Conference really about? The real issue of course is that churches large and small continually pump their members’ financial offerings into the Catalyst empire, and they also send their young sheep to the slaughter at these conferences that they assume are about Jesus Christ, but are not. In the Catalyst link above, you can see for yourself that this franchise is showing youth a very different jesus and different gospel. You should be concerned. It is often said that change is the only constant and we know that our world is constantly advancing, shifting, and adapting, but how do we lead in these new realities? Join Craig Groeschel and Brian Houston as we examine how to anticipate coming change before it arrives, create a strategy for transition, and map a compelling vision for the future. See related links, and protect your church from this ungodly carnal nonsense.